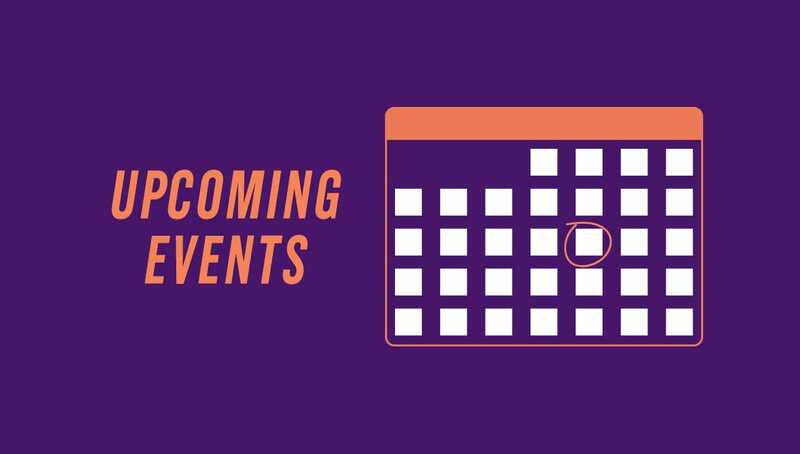 The University of Scranton announces public events for the month of May. Through May 3 Art Exhibit: “The University of Scranton Student Exhibition.” Hope Horn Gallery, Hyland Hall. Free during gallery hours. Call. 570-941-4214 or email darlene.miller-lanning@scranton.edu. May 2 5:30 p.m. Schemel Forum with the Weinberg Memorial Library Collaborative Program: “While Reason Slept” presented by Thomas Brier, Jr., J.D., attorney at Blank Rome LLP in Philadelphia. Heritage Room, Weinberg Memorial Library. Registration required. Free. Call 570-941-6206 or email alicen.morrison@scranton.edu. May 3 3 p.m. 11th Annual Festival of Nations. Dionne Green. Free. Call 570-941-4160 or email jose.sanchez@scranton.edu. May 3 6 p.m. Hope Horn Gallery Reception for “The University of Scranton Student Exhibition.” Hyland Hall. Free. Call 570-941-4214 or email darlene.miller-lanning@scranton.edu. May 4 7:30 p.m. Performance Music: “36th Annual World Premiere Composition Series Concert” featuring the premieres of two new works by guest composer/conductor Alex Nguyen, performed by The University of Scranton Concert Band and Concert Choir. Houlihan-McLean Center. Free. Call 570-941-7624 or email music@scranton.edu. May 7 7:30 p.m. Weinberg Judaic Studies Institute lecture by Ambassador Daniel Kurtzer, Princeton University, entitled “The Ultimate Deal or the End of the Line? The Trump Administration and the Middle East Peace Process.” Pearn Auditorium, Brennan Hall. Free. Call 570-941-7956 or email marc.shapiro@scranton.edu. May 10 7:30 p.m. Performance Music: “11th Annual Gene Yevich Memorial Concert” featuring David Ostwald’s Louis Armstrong Eternity Band and renowned Armstrong historian Ricky Riccardi (sponsored by Dave and Janet Wenzel), with an appearance by The University of Scranton Jazz Band. Houlihan-McLean Center. Free. Call 570-941-7624 or email music@scranton.edu. May 25 10:45 a.m. Graduate Degree Commencement. Byron Recreation Complex. Call 570-941-7401 or email info@scranton.edu. May 25 4 p.m. Commencement Baccalaureate Mass. Byron Recreation Complex. Call 570-941-7401 or email info@scranton.edu. May 26 noon. Undergraduate Commencement. Mohegan Sun Arena at Casey Plaza. Wilkes-Barre. Call 570-941-7401 or email info@scranton.edu.